The 72 connects the city of Plymouth with two of Cornwall's prettiest seaside resorts. It runs every hour Monday to Saturday daytimes with a few journeys on Sunday daytimes. The operator is Go Cornwall Bus, part of Go Ahead's Plymouth Citybus. Please check their website for service updates. Click here to discover more amazing bus routes in the South West of England. It also serves this stop at Plymouth Railway Station. Go over the footbridge for the trains. There's a well-regarded 16th century pub in the village, the Buller's Arms. Tideford's only attraction is the Rod & Line pub. Buses to Polperro stop opposite, buses to Plymouth outside the Eliot Hall on Church Street. Why not stop for a drink or a bite to eat in the Copley Arms? See a map of all bus routes in Looe here. While here, try a bite to eat in the Jubilee Inn? Don't let that put you off venturing into the village though! See the full timetable on Plymouth Citybus's website. The cheapest day ticket that is valid throughout route 72 is the Zone 4 Dayrider at £8.00. It is also valid on all other Go Cornwall Bus and Plymouth Citybus routes. If you also need to use trains or First buses in Cornwall, then Ride Cornwall at £10 is the ticket you need. It's valid on all Go Cornwall Bus and First buses and all trains in Cornwall, plus over the border to Plymouth. The only condition is that all journeys have to either begin or end in Cornwall. Plymouth has a multi-operator ticket called the Skipper. At £4 for an adult, it is valid on the 72 between Plymouth and Saltash only, but also on all buses of all operators in and around the city of Plymouth. If you're arriving in Plymouth by train, then a Plymouth Plusbus ticket has the same validity as the Skipper ticket. On the 72 it is valid between Plymouth and Latchbrook Roundabout in Saltash. See Plymouth Citybus's network maps here, a map of all bus routes in Plymouth here and all routes in Cornwall here. You can take the train from Plymouth directly to St Germans for £4.10 (Adult off-peak day return, travel after 0859 weekdays or anytime weekends) or to Looe with a change in Liskeard for £5.60 (Adult off-peak day return, same restrictions). 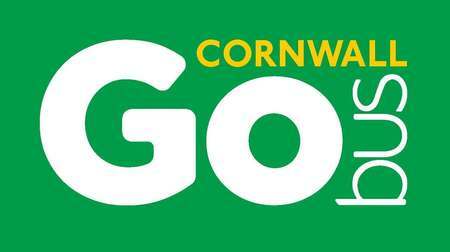 Go Cornwall Bus 73 provides additional buses between Polperro and Looe. Go Cornwall Bus 11 provides additional buses between Tideford and Plymouth. All of the information in this post is correct at the time of writing, but please check the relevant links before travelling. Buses are the most used mode of public transport, but you wouldn't think that from the portrayal they receive in the media. As good as trains are, buses reach more places. But finding out which bus goes where and which routes are really worth using can be difficult if you don't know where to look. This new blog will profile Britain's most useful and/or scenic bus routes, one at a time. We will cover routes in all regions. Some will be chosen for the speed with which they connect two major places. Some will be chosen for the sheer beauty of the landscapes through which they pass, landscapes which really should be enjoyed from a bus window, where you can take it all in. For each route, we will detail where it goes and what can be done in the places it links and passes through. We will also advise which day rover tickets are valid and where else such tickets can take you on connecting services. We certainly won't be ignoring the trains, as they are often the best way to connect to some of our best bus routes. Above all, we will be honest about what we really think about the routes we cover and we will encourage you to be by leaving comments about your experiences on that route. This blog is completely independent of any bus operator or local authority.